Happy Friday, all! 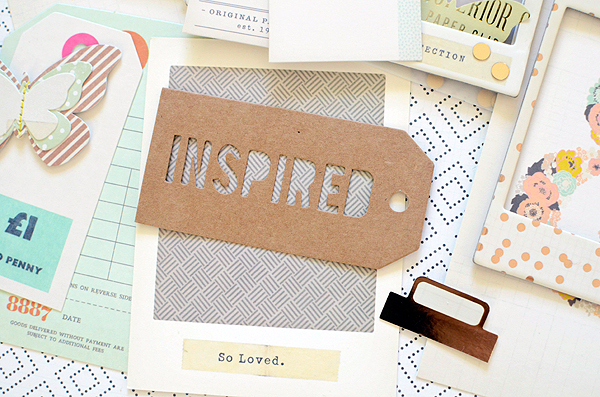 As promised, I've got those peaks at the new Notes & Things from Crate Paper. I am IN LOVE with this line, I tell you--LOVE! 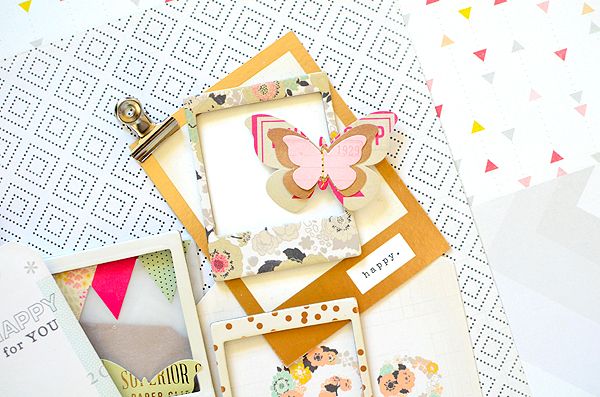 The colors are beautiful--pinks and peaches and mint, plus a bit of gray and black with a lot of gold touches. And then there's even some kraft in there, too. I've found myself smitten with the kraft and gold pairing lately so this makes my heart leap! Aside from the office-inspired attributes, the collection doesn't really have a theme, which I'm happy about. 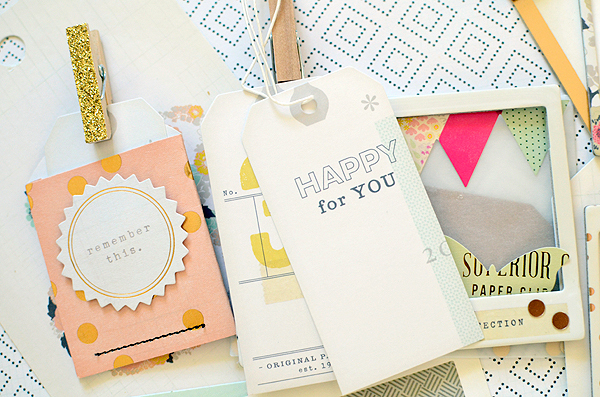 That means you can use it for anything, and a versatile collection will always be welcome in my studio. I can't even tell you my favorite item in the collection because I love every single piece. 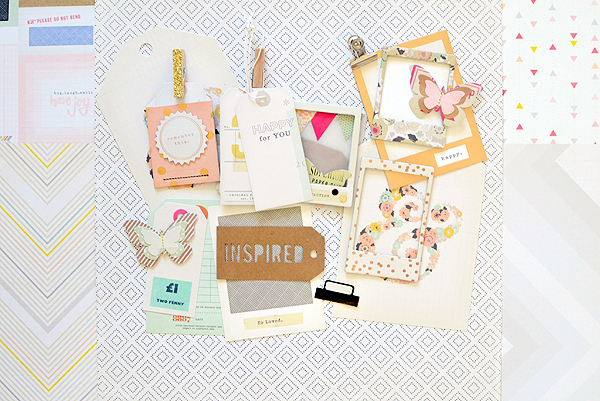 There are gorgeous chipboard frames, layered journaling cards, textured tags, and a terrific variety of patterned papers. As a wannabe graphic designer, I am so impressed with the designs here. Soft and muted graphics mixed with a few dark and bold prints; timeless typography, as well as the trendy "wet paint" font. I think this is one collection you're going to want to get your hands on--and probably HOARD, if you do that sort of thing! The Crate blog is going to start debuting projects next week made using Notes & Things so you'll be inspired by our amazing DT in just a few days. 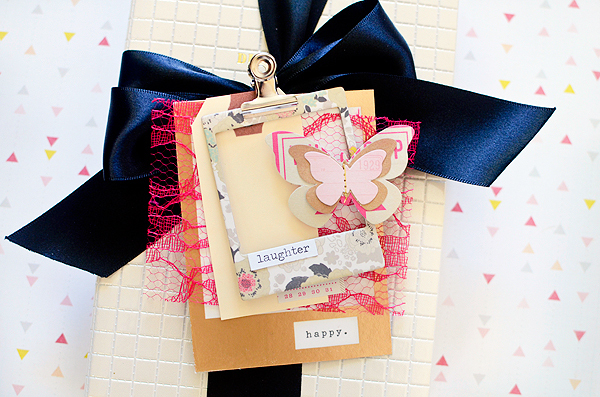 Until then, I've got a little gift tag I can share. This took all of 5 minutes due to the awesome-ness of this line! 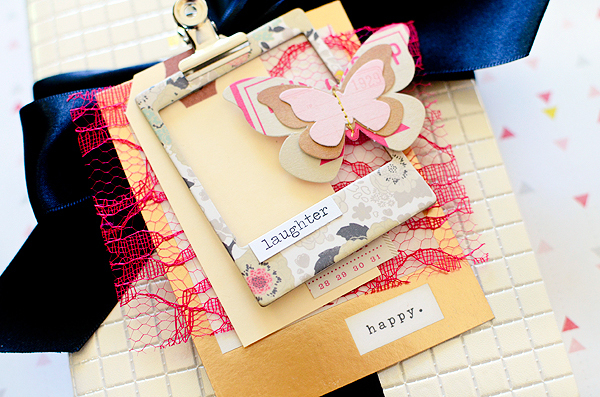 Seen here are a metallic gold journaling card, floral print chipboard frame, and butterfly standout, mixed with a few "standards" of my own (pink lace, silver clip, and manila tag). Well, what do you think? While I pretty much still love every line CP produces, N&T brings with it a feeling of giddiness and excitement that I haven't had since DIY Shop. I've also been lucky enough to have a glimpse at the next release and it, too, looks like it will illicit that same reaction! So I'm very much looking forward to the next few months of Crate and I'll be sharing it all right here! Beautiful showcase of this lovely collection!